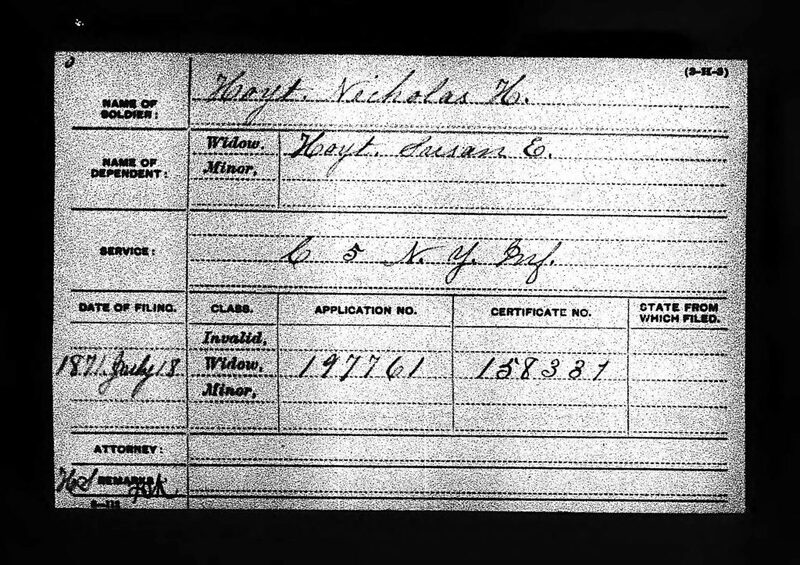 Whereas, Nicholas H. Hoyt appears in the 1860 census of Mamaroneck. 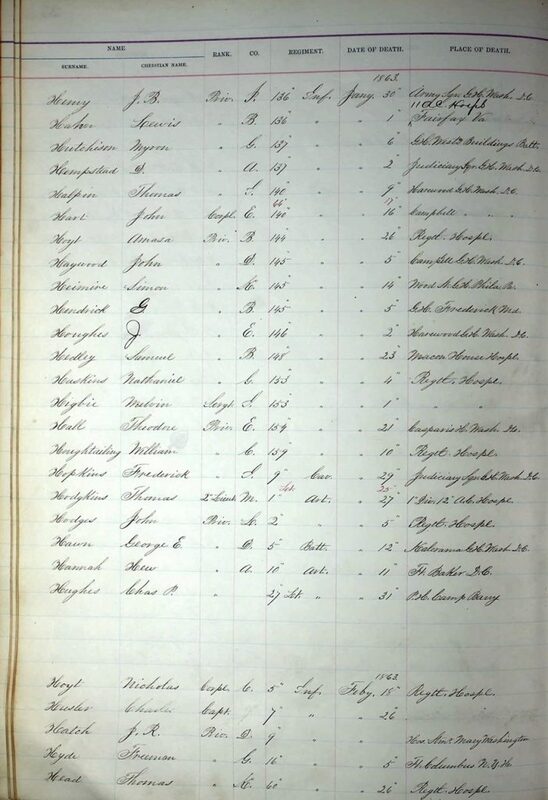 Whereas, the census entries for Adalaide and James indicate that they are attending school and probably attended the Weaver Street School. Whereas, Nicholas H. Hoyt enlisted as a private and was appointed a corporal in September 26, 1862, following the Battle of Shepherdstown. Whereas, Burnside’s Mud March risked the lives of a large number of 5th Infantry troops in harsh winter conditions and led to President Abraham Lincoln removing Major General Ambrose Burnside of his command of the Army of the Potomac. Whereas, Nicholas H. Hoyt died on February 18, 1863 at the Regimental Hospital in Chancellorsville. 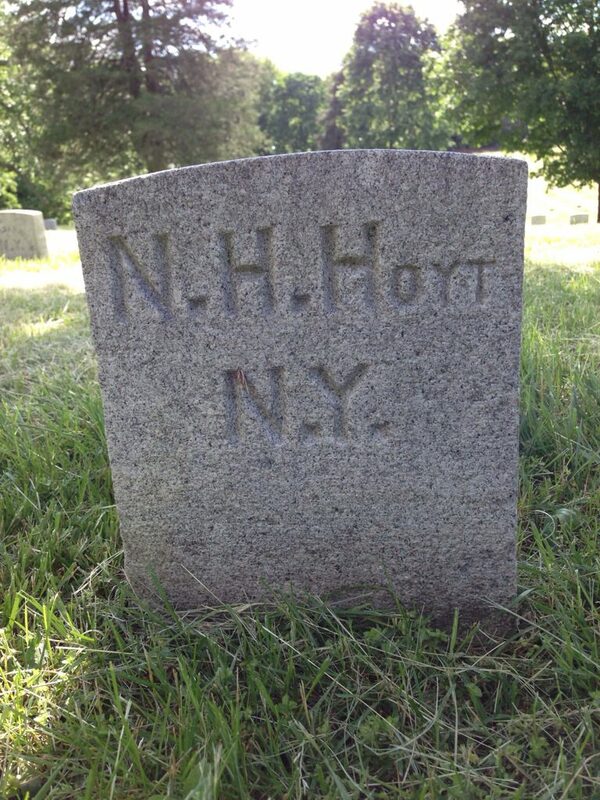 Whereas, Nicholas H. Hoyt is buried in the Fredericksburg National Cemetery in Fredericksburg VA, and his grave marker recognizes that is home was in New York. 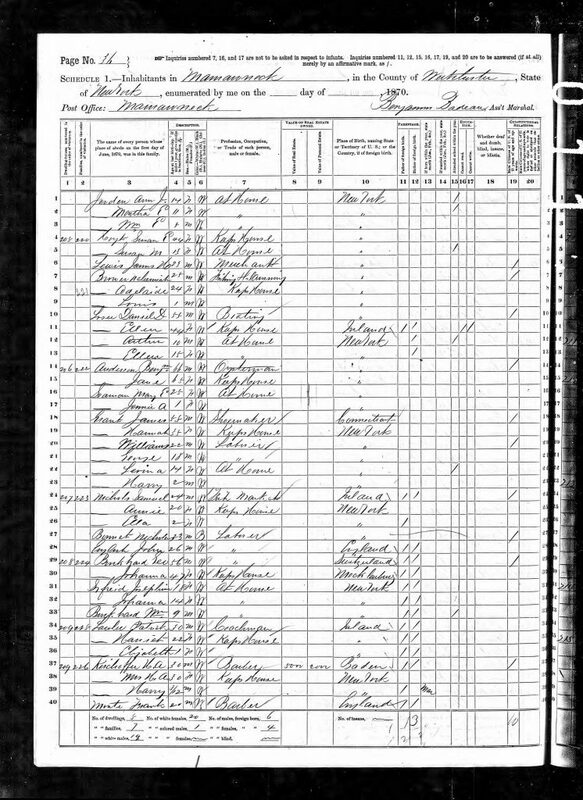 Whereas, Susan E. Hoyt appears in the 1870 U.S. Census living in Mamaroneck. 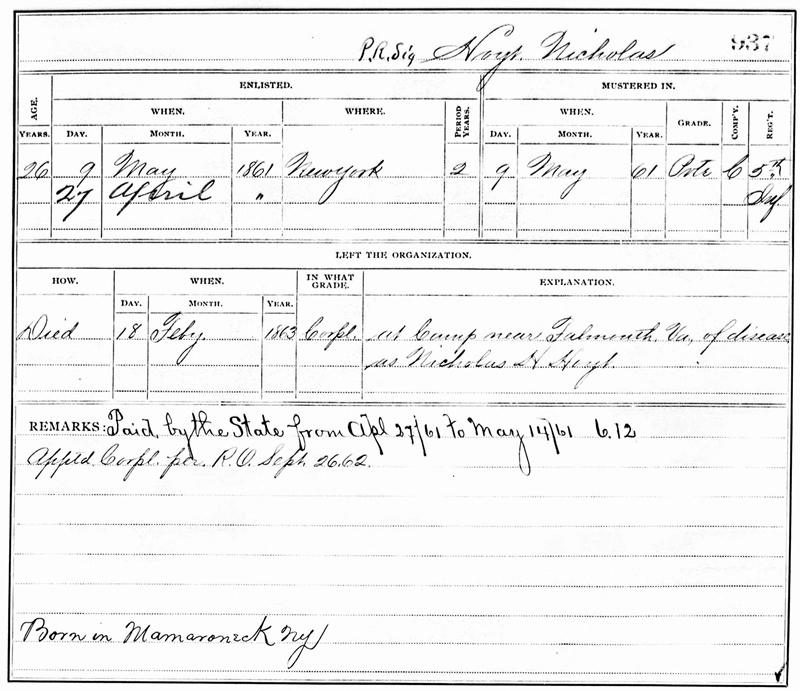 Whereas, Susan E. Hoyt applied for benefits on July 18, 1871 as the widow of Nicholas H. Hoyt. 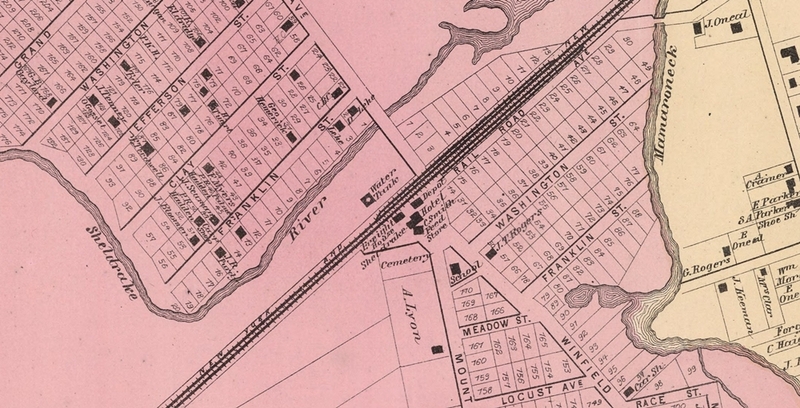 Whereas, today Hoyt Avenue intersects Mamaroneck Avenue near the railroad station, as depicted in the street map from 1872 above. 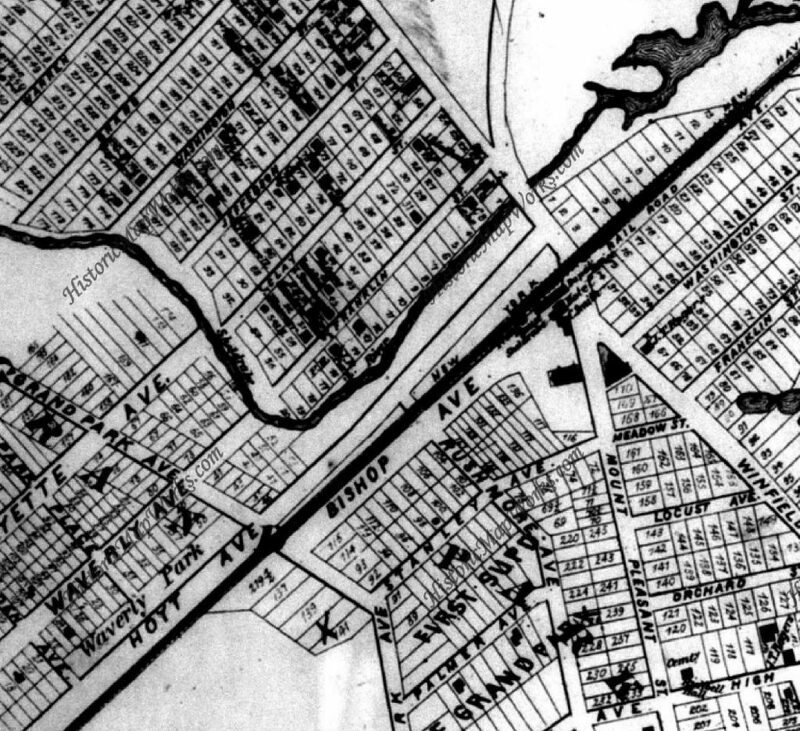 Whereas, the above map from 1867 does not show Hoyt Avenue, supporting the conclusion that Hoyt Avenue was created in the decade following the Civil War, and that the avenue was named in honor of Nicholas H. Hoyt, but that this memorialization honoring Corporal Hoyt has been forgotten. Whereas, Hoyt Avenue was created by the Town of Mamaroneck but is today also a part of the Village of Mamaroneck. 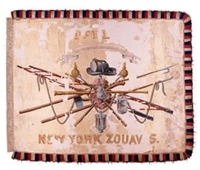 Whereas, the Historical Fire Company carries on the Fire Zouave tradition of the 5th, 11th and 73rd New York Infantries, recruited primarily from volunteer fire companies in New York City and southern Westchester, and the Historical Fire Company parades in the Fire Zouave uniforms of those infantries, honoring their sacrifice and service. Therefore, the Historical Fire Company requests that the Board of Trustees of the Village of Mamaroneck rededicate the avenue known as Hoyt Avenue in honor of Corporal Nicholas H. Hoyt and his family, and that the Council of the Town of Mamaroneck officially concur in the rededication.